I just returned from 2 weeks in Europe. This is my favorite place in the world, but this time I was taking along a younger brother and his wife who had never been to Europe before! 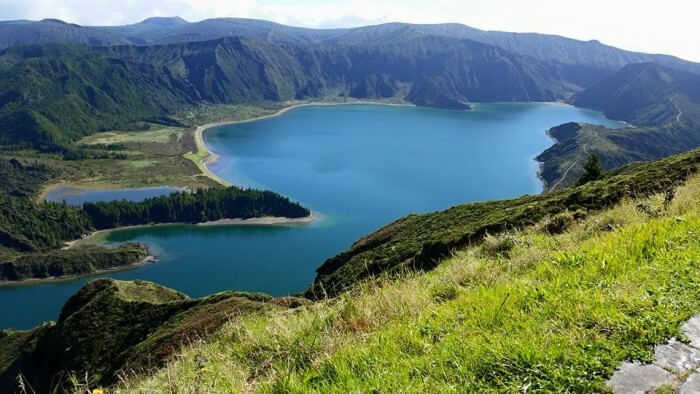 My father was Portuguese, and his family originally came from the Azores, a group of 9 islands off the coast of Portugal. He never had a chance to visit before he passed away, so my brother and I had talked about going there many times to honor him. We decided to spend a few days on the major island of Saõ Miguel before embarking on a cruise from Italy. I cannot tell you how impressed I was with this area. This is a hidden gem for people looking for that ‘next great place’. It is pristine, safe, and breathtakingly beautiful. A mix between Hawaii and Iceland. 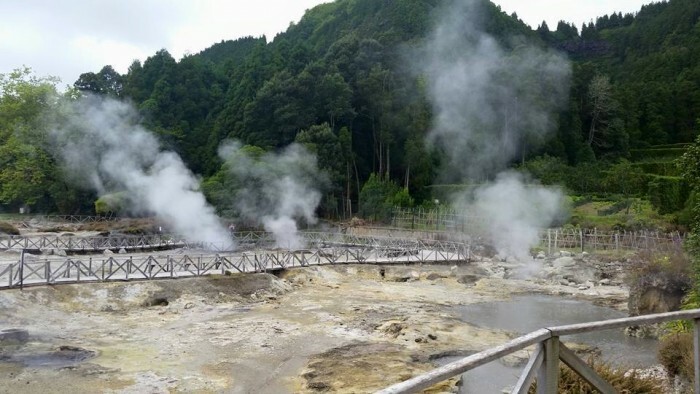 It is volcanic, with thermal baths, stunning waterfalls, and gorgeous beaches. It is also ridiculously inexpensive. We each stayed in a one-bedroom apartment in the city center for under 50 euros a night (bedroom, living room, kitchen, even washer/dryer). Stepped right out into the city center. The great thing is how accessible it is. SATA Airlines (partner of TAP Portugal) flies nonstop from Boston on an easy 4 hour 45 minute flight. And they partner with Jet Blue for the connecting flights. Easy and inexpensive. 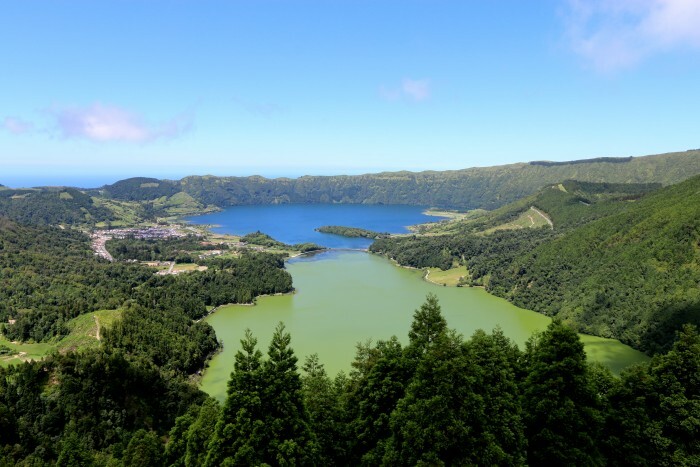 The Azores is also the only tea producer for all of Europe! We visited one of the two major plants and it is an amazing production. They also export most of the pineapples across Europe. 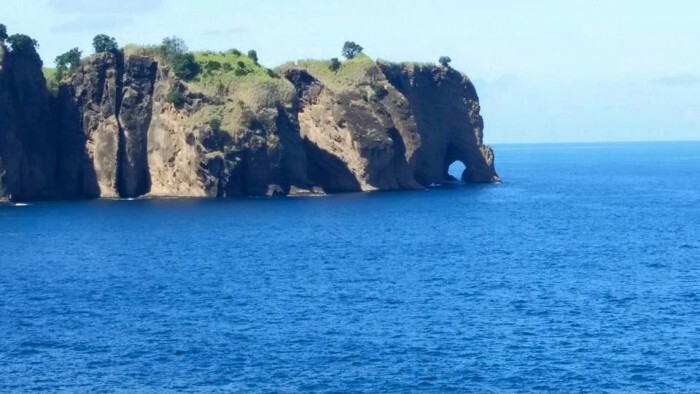 I plan to return for a 10-day to 2-week trip to visit other islands in the next year or so (easy by inexpensive ferry). Clearly the tourist crowds have not found this magnificent place yet. This is my new favorite destination, and I can highly recommend it for anyone. 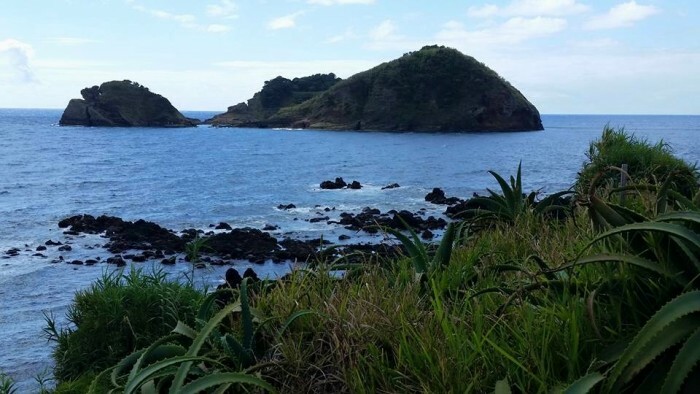 I used a company that was highly recommended to me called Azores4Travel, and made contact with the owner Eleutherio Valido who also took us on full-day tours of the island for a very reasonable price. We headed from there to Rome to enjoy Walks of Italy’s premiere small group tours. What an amazing experience to visit the Sistine Chapel with about 60 people instead of 600. I actually never realized how beautiful the tile floors were, as I could never see them before with all the crowds. And to experience the underground of the arena floor and third tier of the Colosseum (inaccessible to the general public) is an awesome experience. They are working to open the very top (fourth level) in the near future. By the way, the Trevi Fountain will re-open after 2 years of renovation by the end of October. We sailed on Celebrity Silhouette to Salerno (great port to see the Amalfi Coast and to avoid the big ships at Naples), Taormina Sicily, Villefranche and Marseille France, Corsica and Livorno. We disembarked a day early to enjoy Tuscany by car rather than return to Rome (This is easy to do with enough notice so that a Customs official is at the port to process you). We stayed at a beautiful villa called the Buccelletti Estate in Valle De Chio. I can highly recommend this special place; very affordable 2 – 8 bedroom villas. They can accommodate 68 people; a great option for destination weddings. This was my second cruise aboard Silhouette. It’s one of my favorite ships. Staterooms are well laid-out, and we were able to open our verandahs so we had one big balcony side-by-side. Even with a full 2800 people, it never seems crowded. Service and food are great, but I do think they’ve gone a bit overboard on the alternate restaurant pricing. It’s $45-$50 per person, and only a couple are really worth it. This entry was posted on Tuesday, October 20th, 2015 at 12:03 pm	and is filed under Celebrity Cruises, Europe, France, Portugal, Rome, Travel Agent. You can follow any responses to this entry through the RSS 2.0 feed.